Let’s put things in perspective: we’re not all that in the grand scheme of things. This text is an excerpt from Carl Sagan’s book, Pale Blue Dot: A Vision of the Human Future in Space, 1997 reprint, pp. xv–xvi. 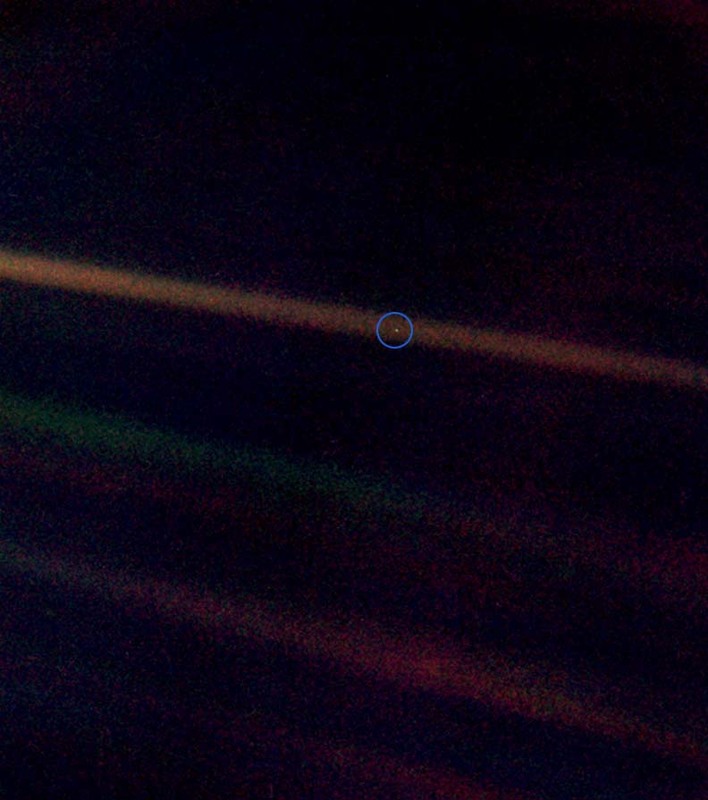 The photo was taken by Voyager 1 from the edge of the solar system.